Cuba’s Domestic Reforms Surge Past Immobilized U.S.
Cuban President Raúl Castro announces five-year plan for free market reforms. Cuba’s South-South foreign policy cannot entirely compensate for domestic policy inadequacies. Although Cuba is willing to consider change, Washington refuses to open up to rational dialogue and meaningful debate. Decades after its inception, the United States maintains its barely modified Cold War embargo against Cuba. It seems unlikely that this blockage—legally engrossed by the 1996 Helms-Burton Act—will be repealed in the near future due to Congressional bickering and the animosity of the pro-embargo Cuban-exile lobby. Further south, Havana has announced economic reforms that could eventually allow free market policies to take root in Cuba, exposing the irrationality of Washington’s aging and outdated stance toward Havana. At its August 1 biannual session, the Cuban National Assembly passed an economic reform dubbed the “Guidelines of the Economic and Social Policy of the Party and the Revolution” (Lineamientos de la Política Económica y Social del Partido y la Revolución), which had been originally approved by the Communist Party in April. The bill encourages private sector growth by curtailing federal involvement in retail, agriculture, construction, and transportation. It will simultaneously loosen restrictions on small businesses, cooperatives, property leasing, and the buying and selling of personal items, such as cars and homes. In an effort to reduce unsustainable government spending, and other retrogressive administrative policies, state subsides on food and utilities will be incrementally eliminated over the next five years. Intended to jump-start the stagnating economy, these reforms will not be without negative repercussions; cuts in government spending will naturally result in the reduction of state bureaucracy, and over one million state employees are scheduled to lose their jobs. Raúl Castro also publicly announced a revision of outdated federal tax codes and travel and emigration procedures. Much to the chagrin of human rights advocates, Cuban citizens have traditionally been required to acquire permission from the government before travelling to a foreign country. The new policy will presumably allow Cubans to travel abroad while maintaining their citizenship status. While these socioeconomic reforms show a dramatic shift toward a free-market economy, the bill hardly complies with the vague and demanding requirements listed under the Helms-Burton Act, which allows for the annulment of the embargo on the condition that Cuba is run by a democratic “transition government.” Considering the conservative spell that has been cast on Capitol Hill and the super-charged pro-embargo lobby, it is unlikely that Congress will be quick to recognize any strides towards enhanced civil liberties, democracy, or a free-market economy in Cuba. While many Cubans are celebrating this progressive state policy, anti-Castro Cuban-Americans are starting start to sweat. The Cuban Adjustment Act (CAA) of 1966 allows Cuban immigrants to apply for permanent residency after living in the U.S. for only one year. Moreover, illegal Cuban immigrants can work legally and receive free medical care, government welfare, and unemployment benefits due to their “political exile” status. Director of the New America Foundation’s U.S.-Cuba Policy Initiative, Anya Landau French, believes that the new travel and emigration policy will make it more difficult “for Cuban-American hardliners in the U.S. to argue that Cuban emigrants are political exiles and need continued special status under the Cuban Adjustment Act.” Reforming the CAA would be a blow for anti-Castro Cubans, and therefore to the pro-embargo lobby as a whole. 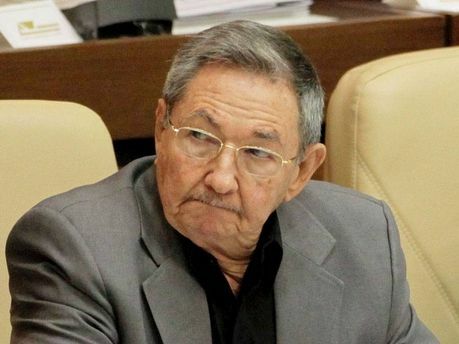 In his August 1 address to the Cuban National Assembly, President Raúl Castro admitted, “[w]ithout a change of mentality, we will not be capable of accomplishing the changes needed to guarantee the sustainability… of the socialist nature… of the political and social system enshrined in the Constitution of the Republic.” Whether the Cuban state will enact the promised reforms remains to be seen, but Castro has at least acknowledged that his nation’s domestic policies must change. Even more so, U.S. policy toward Cuba desperately needs a make-over, especially in the context of recent Cuban flexibility. The futile and antagonistic economic embargo against Cuba has prevented both countries from reaping significant economic advantages. Certainly, were the embargo to be lifted, Cuba would benefit from waves of “Yankee” tourism, and could eventually become a USD one billion agricultural export market for the U.S. Despite its hard-headed refusal to openly trade with Cuba, the U.S. has no qualms about covertly intervening in Cuban politics. According to a well-informed source whom preferred to remain anonymous, U.S. Government-Organized Non-Governmental Organizations (GONGOs), which are remnants of the second Bush administration, still attempt to “promote democracy” and instigate regime change in Cuba. Private and government funds intermingle to endow these GONGOs in Cuba, resulting in blame shuffling and an utter lack of transparency. Clearly, U.S. policy toward Cuba is neither rational nor honorable, and requires a dramatic transformation. President Castro is moving the Cuban Revolution toward free market policies which inevitably will benefit his country in the future. Conversely, hypocritical initiatives emanating from Washington, that are ever-derisive of the Cuban state, have left a series of U.S. administrations with their feet firmly planted in the past. This analysis was prepared by COHA Research Associates Christina Curtin and Paula Lopez-Gamundi. To read more from COHA on Cuba, click here. February 26, 2013 COHA Comments Off on COHA Analysis: Without the Castros, What is the Fate of the Cuban Revolution?